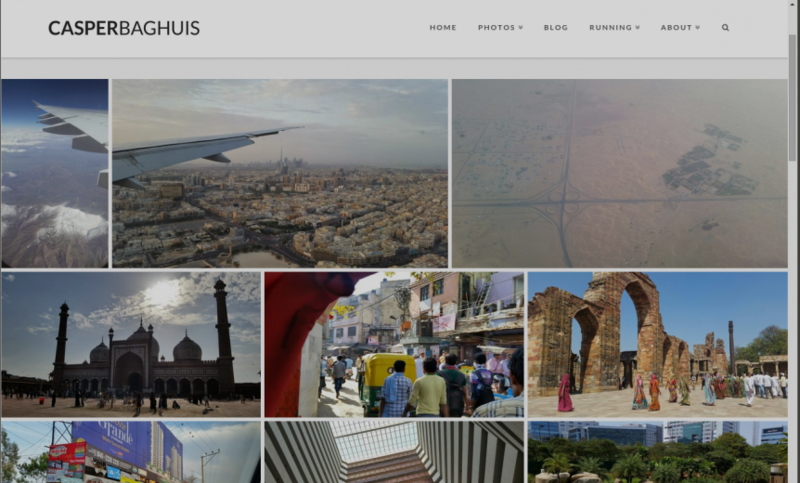 Want to put your Google Photos on your own WordPress site? I upload my best mobile photos and photography projects to Picasa/ Google Photos every week, even every day. Throughout the years, I have tried to integrate my online albums into my WordPress site, experimenting with many free plugins, such as Shashin, Alpine PhotoTile, Picasa Express x2, Photonic, PWA+PHP and others. Some were pretty good, some were not and some I couldn’t even get to work properly. Shashin however, has been my favorite for many years. Unfortunately, its developer decided to stop supporting it as of last year. So it was time to look for something new. Then I bumped into Justified Image Grid (JIG in short) on CodeCanyon, developed by Firsh. It’s a feature rich and responsive gallery for WordPress that can use many types of sources of photos. It grabs your photos from Instagram, Facebook, Flickr and much more. And also Picasa and Google Photos! There are too many features to mention here, so I won’t even start. I just really liked one of the grid layouts on the demo page and it turned out to be a preset configuration of JIG (preset 4 to be exact). If you want to get a feel of the many features, see the JIG page on CodeCanyon, or just take a look at this YouTube video on JIG’s settings and creating a gallery using JIG. Obviously JIG is a premium plugin, so you have to pay to get it. But believe me, it is worth it. I have only recently discovered the great features and support from premium themes (like the excellent X theme) and premium plugins like JIG. For example, JIG’s developer Firsh went to great lengths to get a Picasa sorting bug fixed for me. Here’s how I got JIG to work with my Picasa/ Google Photos albums, after installing it on my WordPress site, in just a few steps. Find the RSS feed link of your album. Google Photos does not offer RSS feeds (yet, I hope) and the Picasa site has been shut down. However! I have created the Google Photos RSSerator, read all about it in my post on how to get the RSS feed of Google Photos albums. Go to your WordPress site and create a post or a page. Launch the JIG shortcode editor, select the RSS button and paste your Picasa RSS URL in the Feed url field. Press Create shortcode and copy the shortcode to your post or page. You can of course tweak the gallery further as you like. Here’s the shortcode as I use it on my site, for example on my current Mobile Photos page. As I said, I like the preset 4 of JIG, so using the shortcode editor I have added preset=4. JIG has 20 really great presets, so choose what you like, or define your own. JIG also comes with several flavors of lightboxes. But I use Themeco’s X Theme iLightbox and link_class=x-img-link lightbox=custom mobile_lightbox=no makes JIG use it well. And load_more=scroll is for a very nice feature for loading the images only when the browser scrolls down. If you use the standard Picasa RSS feed, each photo in JIG links to its Picasa photo page. However, I want to link directly to the photo itself and display it at the right resolution. So I have added rss_links_to=image in the JIG shortcode editor. To get Picasa to feed the direct image URL at the right resolution I have found a hidden magic trick at Wenda.io that does just that. All you need to do is add the imgmax parameter to the RSS feed URL and set the required resolution. For Picasa you can choose any of these default image sizes (source Toppa): 32, 48, 64, 72, 94, 104, 110, 128, 144, 150, 160, 200, 220, 288, 320, 400, 512, 576, 640, 720, 800, 912, 1024, 1152, 1280, 1440, 1600. So I have added &imgmax=1152 to the my album URL. Read more about Google Photos RSS feed on my post about RSS feeds for Google Photos Albums using my Google Photos RSSerator. Updates, Google Photos is evolving! Update September 2016: Hooray! Google Photos has introduced album sorting. And read how to get RSS feed for Google Photos in my new post. Update August 2016: Picasa has now been officially killed, so you cannot get the RSS feed for an album anymore. Luckily Firsh (the developer of the JIG plugin) has documented a great workaround how you can still get it to work, check out this page on his site. Update April 2016: I discovered that you can use the old Google+ photo pages for sorting your albums as well. Just like Picasa, Google+ is a mirror copy of your Google Photos albums. Just go to your Google+ page, click on Profile, click on Photos, click on the album title that you want to sort, click organise. On the top right, in the drop down you can set the sorting order. Update March 2016: You can now manually change the order of the photos in an album! Not yet as complete as the “Newest first” sorting of Picasa, but it is progress in the right direction. To change the order of your photos do the following in Google Photos: Select the album, click on the three vertical dots (top right), and edit the album.You can then re-order the photos as you wish. Are you sure it supports Picasa/Google+/Google Photos? I don’t see anywhere on the code canyon product page where it mentions google, except for google analytics. And I’m not even really sure what I need because Google has become so confusing. First I had uploaded all my photos to Picasa, and I’m a Google Apps user so that makes it confusing.. Then there’s google+, and now Google Photos. Does the plugin support all those? Which one SHOULD I be using? Hi Mike, you are right. Google is making all this quite confusing. 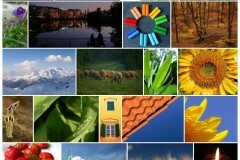 In effect, Picasa, Google+ photos and the new Google Photos are all the same, but they each have a different front-end. So you do not need to choose one, the photos are accessible by all front-ends. However, not all features are shared by all front-ends. For example only Picasa has an RSS feed (why Google, why?) so you need to point JIG to there, as I described in this post. And yes, JIG works well with Google photos (by using the picasa RSS feed) as well, as you can see in the photos sections on this site. Do you know if JIG supports captions from Picasa photos? Yes it does. Actually with the new/updated Google Photos app on my phone I can edit the captions and they get replicated. The captions on this page for example: https://casper.baghuis.nl/photos/mobile, are Google Photos/ Picasa captions. The only thing I currently still need Picasa web albums for is setting the sort order of an album. I usually want the newest photo first, but new photos get added to the bottom of an album by default. Hey there, first I am really appreciate about this post! and Happy new year! by the way I have question about the order of gallery, even though I organize this order such as recent-date-first through picasa album, when I add pictures later it just adds as last order(it should be in the first since it is newest one). Do you have any idea of this? Happy new year to you too! The order of the Picasa album (= Google Photo collection) can not be set permanently, unfortunately. I too want some of my albums to be sorted “newest first” by default, but I have to manually organize the Picasa album after every upload to achieve this. Google photos does not even offer this option (yet). I suspect that tis will be added in time, but we will have to keep our fingers crossed. The sort option in JIG does not solve this either. Oh my – Google just announced Picasa is going away. What will this do to those of us who use the Picasa albums in our websites? Any ideas? Yes, so I heard! Google is not very open to what is now going to happen exactly. Picasa and Picasaweb will be shut down, but on the Picasa Web Albums Data API page it says that the API (including the RSS link) will remain functional. In March 2016 they apparently will publish an update to the API. For now, it means that we can still use the existing RSS feeds from Picasaweb, even after May I think, but creating new albums will become difficult, if not impossible. Reordering the album manually using picasaweb will not be possible after May, which I think really stinks. Sorting by date (e.g. newest first) is a still major missing feature of Google Photo’s. Let’s wait and see what March will bring. I was looking for the right plugin to add google photo album to my wordpress and I have found your website. What is the status now? which plugin should I use and if Picasa shut down, will I be able to continue to add photo? Hi, at this moment it is still unclear what Google is going to do. I see they are improving the Google photos functionality (they added manual sorting recently) but there still is no RSS feed for photos yet. Most/all WordPress plugins use either the RSS feed (from Picasa) or the Picasa API. I am confident Google will come up with something before completely stopping Picasa, but for now it might be wise to wait before selecting a plugin. The JIG plugin needs the Picasa RSS feed, and that is currently still not available in Google photos. Pro tip: one has to make the Picasa album property Visibility set to “Public on the web”, else the RSS feed won’t work. I (originally) mistakenly thought that “sharing” an album within Google Photos (without knowing about the aforementioned setting) does the same thing, but it apparently does not. Please update your directions so others can avoid this same pitfall. Took my quite a while to figure it out. Thanks Matthew, good tip! I updated the post. https://lh3.googleusercontent.com/-mb21Ipcq1oY/Tlq-JHx2t-I/AAAAAAAAB0I/DSsU2CMivxMGR7ZylyBh-5SzvjWnGsGYwCCo/s144/CarpSlamLogo.png but this has disappeared in Google Photos. It doesn’t look like JIG was set up to solve this problem, correct? If so any other ideas. WordPress of course won’t accept the link address supplied from the share feature of google photos. Correct, JIG does not solve this for you. The Picasa RSS feed that JIG uses however does include the URL (like yours) of each image in an album. I suspect that direct linking using a generated link or RSS feed will be a future feature, but I wouldn’t hold my breath waiting for this. Now is it clearer what Google wants to do with Google Photos? In other words any news about some proper WordPress plugin to pull albums? Unfortunately no. Picasa has now been killed (you get forwarded to the Google Archive) but the Google Photos API has not yet been released (!). Once that gets released, developers can build Worpdress plugins and apps to interact with Google Photos. Until then we will have to wait and see what Google will do. But you can still use JIG to get the albums on your WordPress site. See the workaround above.